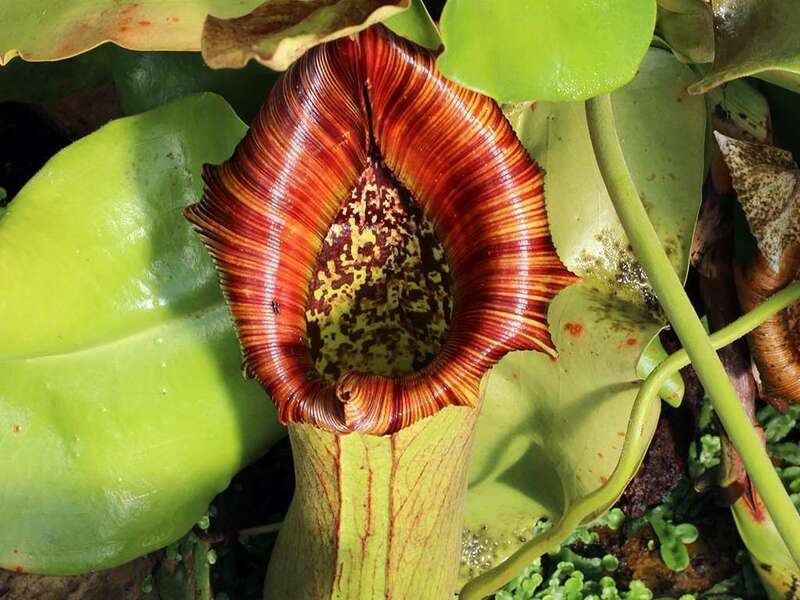 A grand lowland Nepenthes, N. truncata is known to swallow entire rats whole. How can you tell? The smell, unfortunately. And the bones. They don’t digest the calcium-heavy bones. 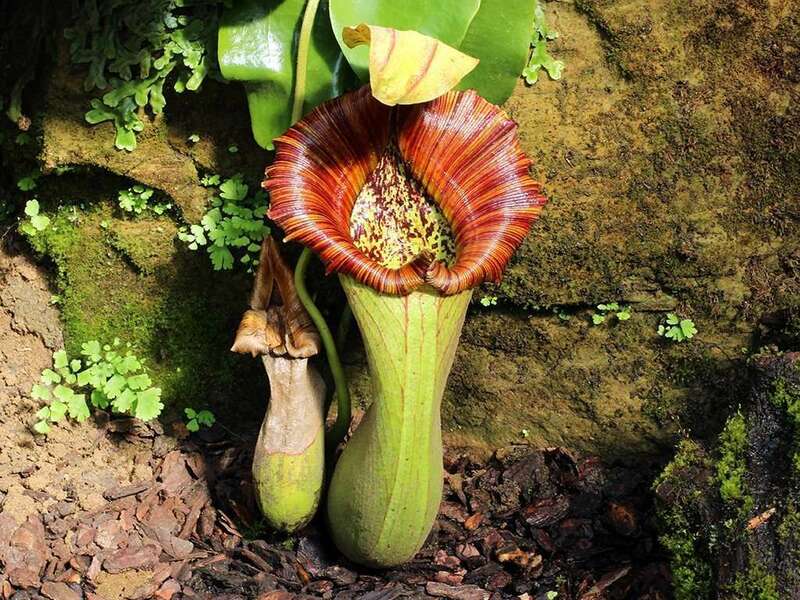 Nepenthes truncata is native to the Philippines and develops, as you’ve probably guessed, massive pitchers. More on these killers, below. As a lowland with a wide elevation distribution along the islands of Mindanao, Leyte, and Dingat, Nepenthes truncata grows from sea level up to about 5,000 feet (1500 m). The species N. robcantleyi was previously considered the highland variety of this impressive species. Humidity stays high, days get hot (80°sF/26°C), and evenings stay warm in the high 60°sF and 70sF (15°C-22°C). There are highland varieties of Nepenthes truncata, and they do enjoy cooler temperatures with days in the 70°sF (20°sC) and drops to 50°-60° Fahrenheit (10°-15°C ) at night. 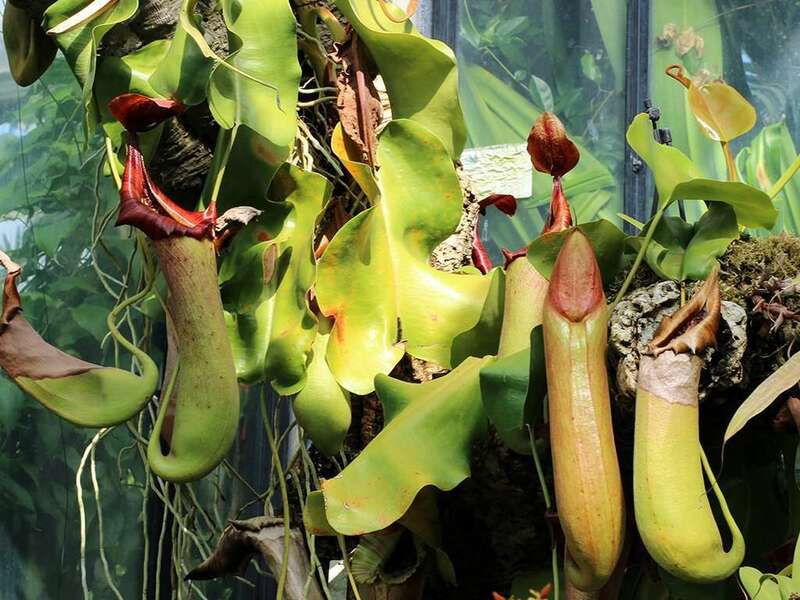 Nepenthes truncata lower pitchers get up to 14 inches (35.3 cm) tall, with large, slanted mouths and prominent wings. Outer pitcher surface is generally smooth and green while the interior does all the color heavy lifting – be-speckled in purples, pinks, reds, and oranges. The peristome is pronounced and varies from a simple solid golden color to an attractive candy-cane striping of green, yellow, and red. The domed lid hovers horizontally over a pitchers’ death-hole. Upper pitchers slim down and loose their wings. A unique characteristic, and where the name “truncata” originates from, is from the leaf petioles that appear truncated at their ends. Rather than tapering towards the center until a tendril finally emerges, truncata leave abruptly end in a squared off or heart-shaped pattern. Nepenthes truncata photos featured here were taken at the lovely Kew Gardens in southwest London – home to many carnivorous plant discoveries.